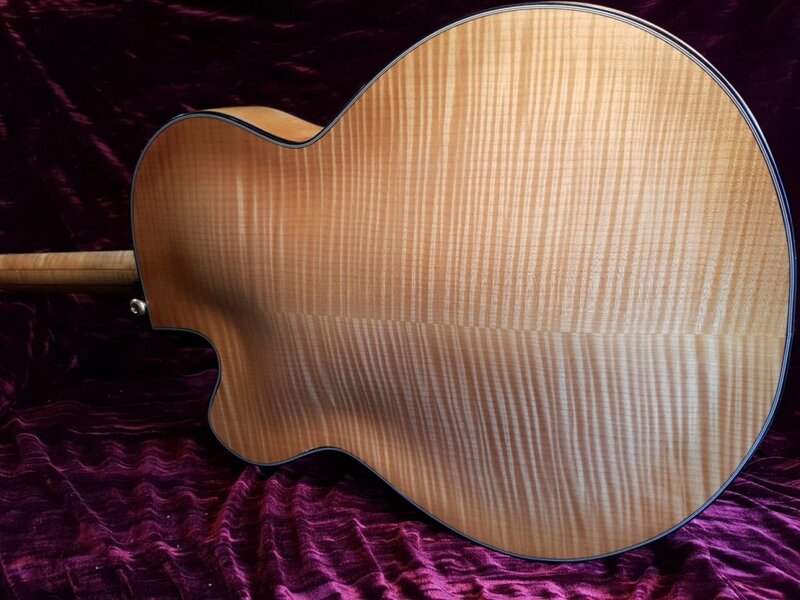 Les Korn is a reclusive character who makes only as few instruments a year. 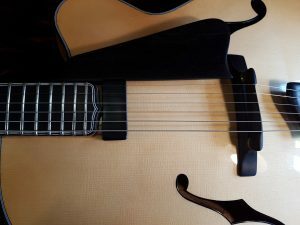 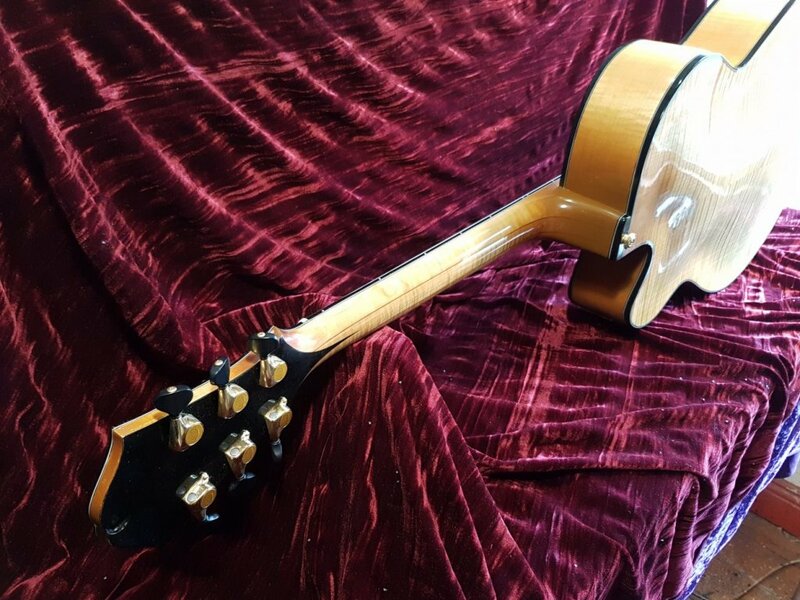 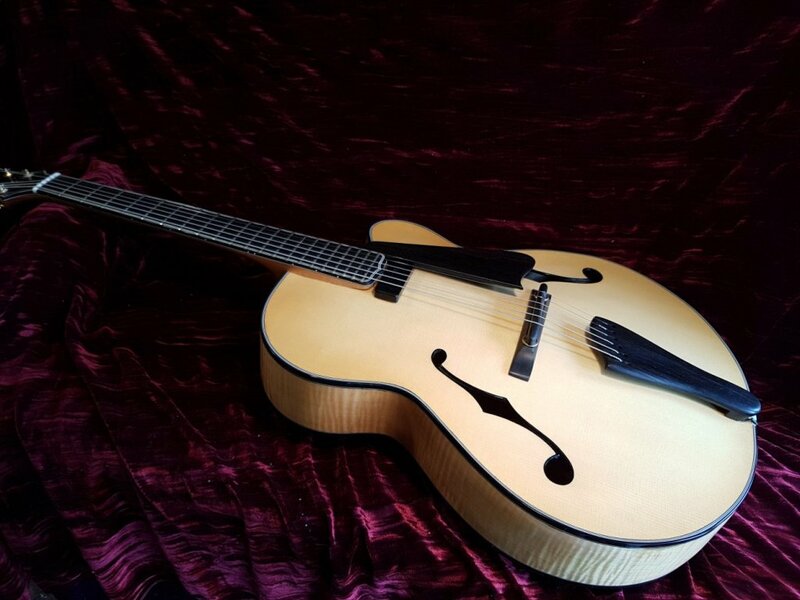 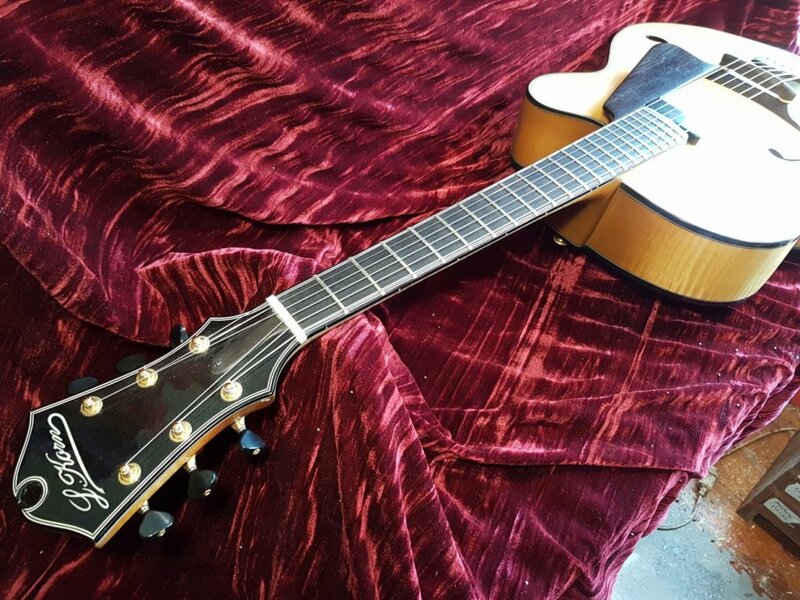 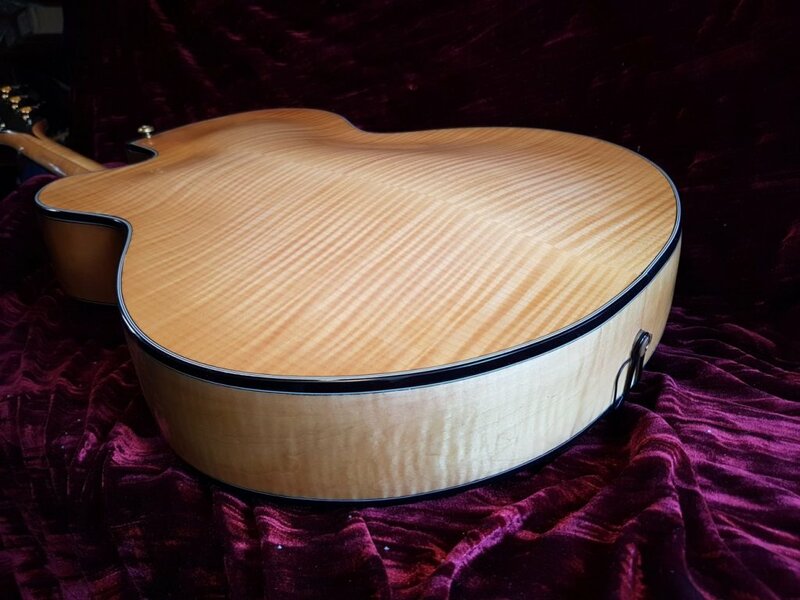 This Archtop has a very D’angelico Contemporary vibe about it right down to the headstock design…. 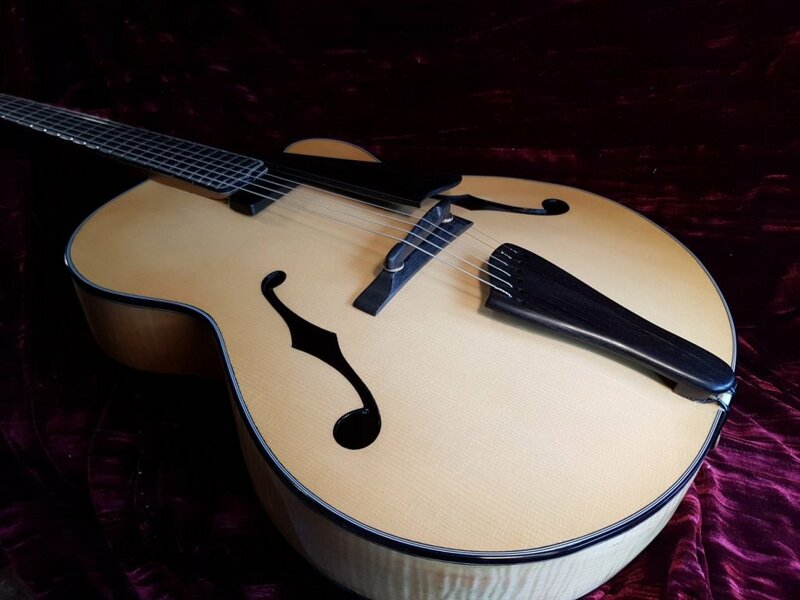 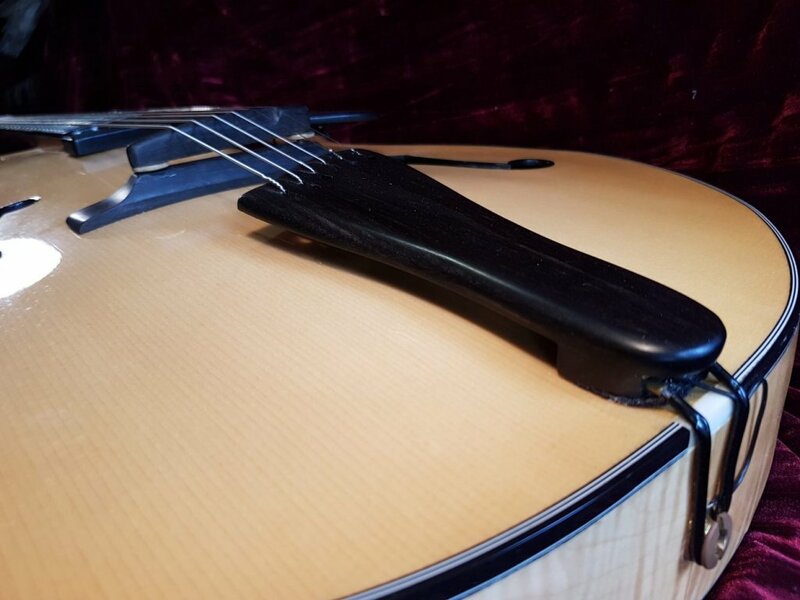 This is a serious handmade professional instrument that is worthy of a connoisseur who will appreciate the fineries of the artist who built her. 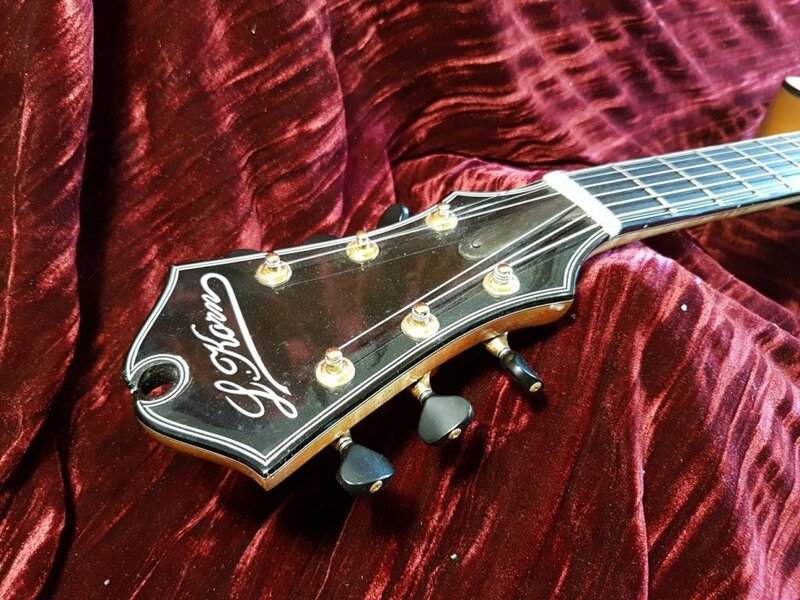 There are some things I wish I could keep for myself and this is one of them.